Sports Memorabilia Auction, Silent Auction, Bag Raffles, Split the Pot and much more! Juvenile Diabetes No Limits Foundation is dedicated to providing support and motivation to individuals with juvenile (type 1) diabetes The Foundation creates and executes unique events and programs that encourage individuals to manage their diabetes and overcome the limitations it imposes on their lives. With a goal to help individuals achieve their dreams, the Foundation is expanding its unique safe driving program in 2013. We are asking local businesses and individuals for help by donating gift certificates and other items for our raffle gift baskets. It is donations from local businesses and individuals, like you, who help make it possible for the Foundation to provide a special program to teens with diabetes who have just become licensed drivers. Our "Check B4U Drive" program was created to help teens with diabetes understand how to effectively manage their high and low glucose levels so they don't endanger themselves or others on the road. Combining this education with advanced driving techniques, taught in a unique "mini-camp" environment, has proven to be an effective—and fun event—for these young drivers. For parents who are concerned about their sons and daughters taking to the road and being "on their own to manage their diabetes", this program offers them a way to boost their own confidence and comfort level. We are working to bring this program to several locations in 2012, and are happy to say it's coming back to the Chicago area later this summer—for the second time in two years! With donations and support from individuals and companies, we hope to ultimately expand this program to many more locations in 2013 and conduct at least one event schedule in each of the 12 months of the calendar. So we thank you for your support! For more information or to send any donations, please contact Mark Lippe at (708) 828-4497, markl@dadinnovations.com or Denise Hooten at (708) 710-3042, dhooten@jdnolimits.org. 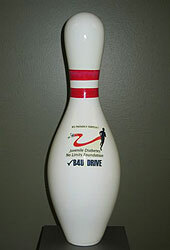 In exchange for your donation, we would be glad to distribute any additional promotional items or flyers you may have. Please use this letter as your receipt. Juvenile Diabetes No Limits Foundation is a 501(c)(3) nonprofit charitable organization and recognized by the IRS. The Foundation's Tax ID number is: 30-0530072. Please feel free to visit our website and add your name and email address to our database. We send out periodic email updates letting our supporters know of upcoming events and other ways to support the Foundation and other entrepreneurial diabetes nonprofits helping families and individuals overcome and manage this disease. Thank you for considering our request for support. It will help make this program a huge success! © 2004- D.A.D. Innovations, creators of diabetic driver car window decals and diabetic driver key chains.